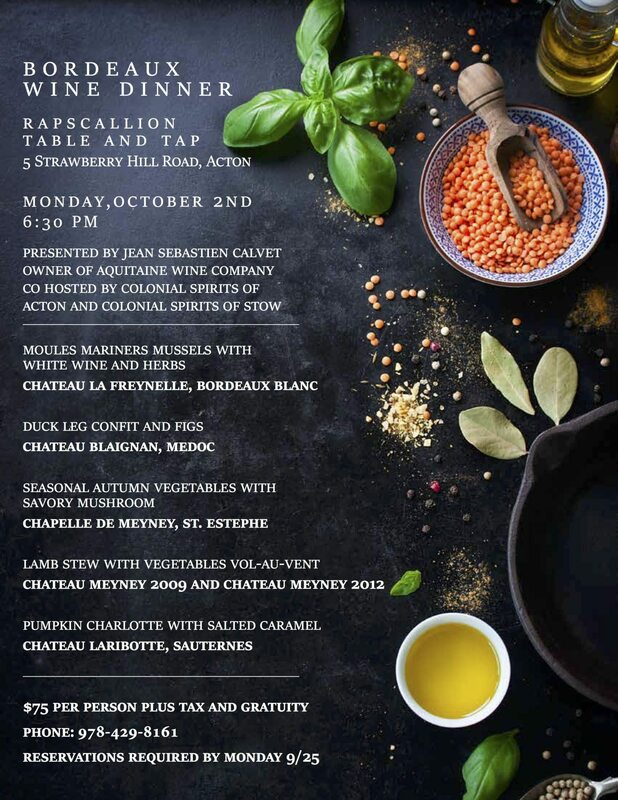 Together with Rapscallion, Aquitaine, and Colonial Spirits of Stow, we are inviting all to join us for our 3rd Wine Dinner this year. Rapscallion is one of the kings of local, fresh food. Aquitane is one of the best-known importers of Bordeaux. These are NOT your average food and wine pairings, folks. Don’t miss out on this huge opportunity. When & Where: Monday, October 2nd, 2017. Rapscallion Table and Tap will be opening up their doors to host a Bordeaux-centric wine dinner. 5 courses, 6 glasses of wine, and all for the fair price of $75 per person (Tax and Gratuity not included). If you would like to RSVP call Rapscallion at 978.429.8161. For the third year in a row, we will be hosting the Goose Island Bourbon County Black Friday release. This was a huge success last year and the year before so why change something that ain’t broke. 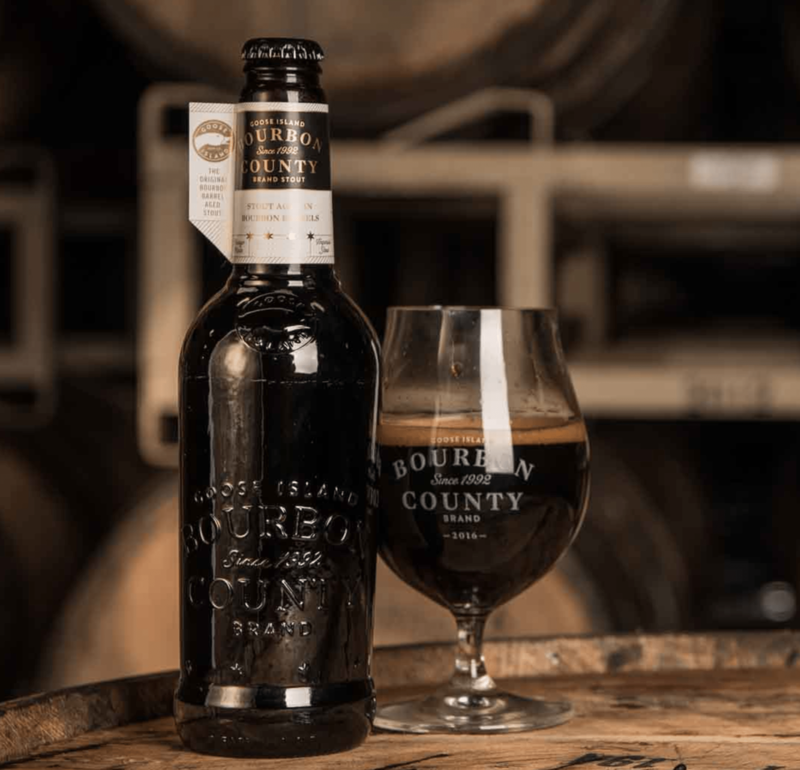 Here is how the release will work for the Goose Island Bourbon County. We will be opening our doors at 9am on Friday, November 24th. Once the doors open, we will be funneling people into our tasting room. We will have a one bottle limit on the variants and a 3 case limit on the Brand Stout. There will be plenty of the Brand Stout to go around, but the variants will be in short supply per usual. So, if you are looking to get your hands on some of the variants arrive early. That is the basic breakdown. Additionally, three lucky customers will be fortunate enough to not have to wait in line. You read that right. By purchasing a raffle ticket(s) your name will be entered in the raffle for the chance to win the opportunity to purchase the full allotment without having to wait in line. The allotment will be reserved and may be purchased at a later time within 30 days of Friday, Nov 24, 2017, if not the allotment will be placed in open inventory. No limits on the number of tickets and all proceeds will go to the Acton Food Pantry. Tickets may be purchased HERE or in-store at the register. This has become an annual event and each year has seen the interest and reception of these beers grow. If you haven’t tried them you should. Weller 107 Single Barrel Bourbon and Journeyman 120 Single Barrel Bourbon Selection Tasting! The first exclusive Colonial Spirits single barrel bourbon barrels of the year are queued up and ready for tasting, and we’re excited to soon be selecting from a set of barrels of Weller 107 Single Barrel Bourbon and Journeyman 120 Single Barrel Bourbon! This weekend, we’d like to invite you to help us make the selection! So come on down to the store… SATURDAY, MARCH 5TH @ 2PM – WELLER 107 & JOURNEYMAN 120 SINGLE BARREL BOURBON SELECTION TASTING! Read More about Weller 107 Single Barrel Bourbon and Journeyman 120 Single Barrel Bourbon Selection Tasting! JOIN US ON WEDNESDAY FEBRUARY 24TH FROM 6:15-7:15PM FOR A SPECIAL SCOTCH TASTING WITH A GENUINE SCOTCH AMBASSADOR, PETER KARRAS! Come Celebrate Oktoberfest at Colonial Spirits of Acton! Unlike other seasonal beers, Oktoberfest is a brewing style that has persisted for hundreds of years. If it wasn’t for its name, ‘Oktoberfest,’ it would likely be popular year-round. And “Grand” it will be… GRAND OKTOBERFEST TASTING – SATURDAY, SEPTEMBER 26TH, 1-4PM @ COLONIAL SPIRITS OF ACTON! Read More about Come Celebrate Oktoberfest at Colonial Spirits of Acton!